The general parliamentary elections take place on Saturday October 28th. Follow our live updates of the vote results as they come in. The first results of the vote counts are expected at around 10 pm (GMT) on Saturday. The final vote count is expected on the morning of Sunday October 29th. View election results from 2016 general elections here. 12 Dec 2017 Prime Minister Katrín Jakobsdóttir is currently in Paris where she is attending a global leaders summit called the One Planet Summit today. 1 Dec 2017 A twenty year old music video has resurfaced today in Icelandic media with Katrín Jakobsdóttir becoming Prime Minister. Jakobsdóttir starred in a music video by Icelandic band Bang Gang playing a femme fatale in shades in 1996. 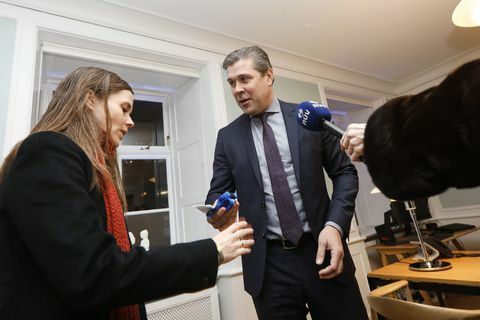 "Weird that I'm only the second woman"
1 Dec 2017 Today, ex PM Bjarni Benediktsson handed over the keys to the Prime Ministry to the new Prime Minister, Katrín Jakobsdóttir. 30 Nov 2017 At a press meeting this morning, it was revealed that the Left Green Movement will be in charge of the Minsitry of Health and the Ministry for the Environment. The Independence Party will receive the Ministry of Finance, Foreign Affairs and Justice, and the Progressive Party will head the Ministries of Industry, Fishing, Tourism and Agriculture. 30 Nov 2017 Iceland's new Prime Minister is Katrín Jakobsdóttir, leader of the Left Green Movement. Jakobsdóttir is 41 years old and a mother of three and becomes the second woman to head a government in Iceland. 29 Nov 2017 The governmental agreement between theLeft Green Alliance, the Independence Party, and the Progressive Party has been accepted at each individual party meeting today. The Left Green Alliance voted for the governmental agreement with 80 % of votes. 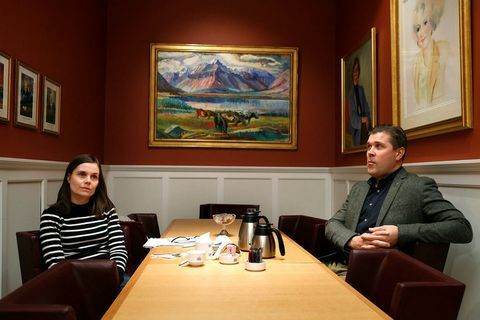 Jakobsdóttir will therefore become Iceland's new Prime Minister tomorrow. 28 Nov 2017 Guðni Th. Jóhannesson, President of Iceland has invited leader of the Left Green Alliance, Katrín Jakobsdóttir to meet with him at Bessastaðir today. See our live broadcast here. 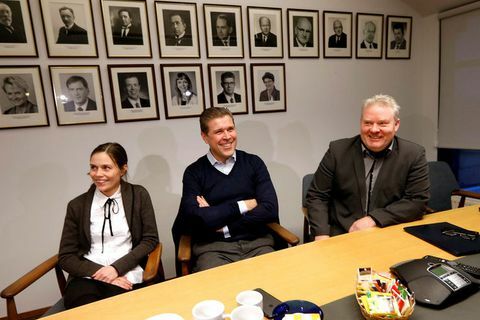 27 Nov 2017 According to Morgunblaðið sources a government agreement has almost been completed and the coalition government of the Left Green Alliance, the Independence Party and the Progressive Party will in all likelihood be presented by the end of this week. 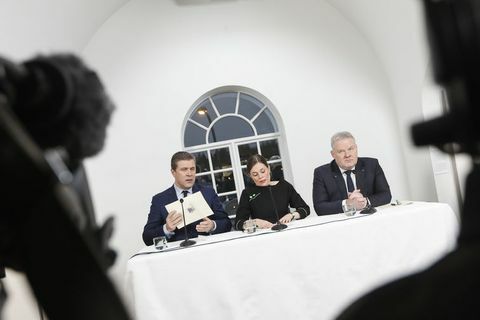 16 Nov 2017 Morgunblaðið reports that according to its sources, there have been no setbacks in the coalition talks between the Left Green Movement, the Independence Party and the Progressive Party. 14 Nov 2017 Nine MP's out of eleven in the Left Green Movement voted "yes" to going forward with coalition talks with the Independence Party and the Progressive Party. Two MP's voted against. Dozens of people have now resigned from the party. 13 Nov 2017 The Left Green Movement is meeting to discuss whether they are prepared to begin formal coalition talks with the Independence Party and the Progressive Party at 13 pm. Another meeting took place yesterday without conclusion. 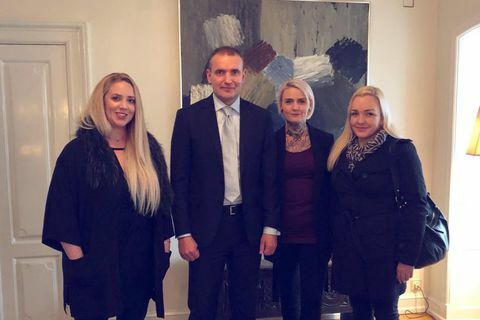 9 Nov 2017 Three young women, Glódís Tara Fannarsdóttir, Anna Katrín Snorradóttir and Halla Ólöf Jónsdóttir were invited to meet with Icelandic President Guðni Th. Jóhannesson at Bessastaðir residence today. The reason for this meeting was that the President wanted to apologize for the part he played in the "restoration of honour" to convicted sexual offender Robert Downey earlier this year. 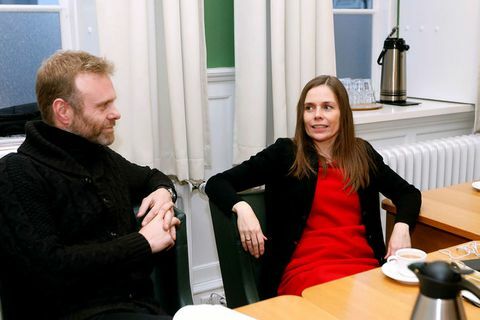 8 Nov 2017 According to Morgunblaðið sources, Left Green Movement party leader Katrín Jakobsdóttir spoke to Bjarni Benediktsson leader of the Independence Party via telephone on Monday night. 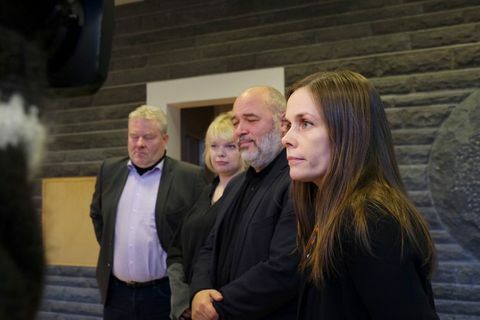 Morgunblaðið sources say that Jakobsdóttir will demand the seat of Prime Minister if a coalition ensues. 6 Nov 2017 The center-left government coalition talks that begun on Friday have been abandoned. 3 Nov 2017 Left-Greens, Pirates, Social Dems and Progressives have initiated formal coalition talks.